In the past several decades, the Dominican Republic has achieved economic growth and stability and reduced its hungry population by half. However, income distribution remains unequal, quality of health services is inadequate, and poverty still affects 40 percent of the population. One in 10 people lives in extreme poverty. Most poor families live in urban areas and 63 percent of them are headed by women. The Dominican Republic suffers from a weak agricultural structure and recurring environmental shocks. According to the Global Climate Risk Index, it is one of the most vulnerable countries to climate change. In 2016, after suffering from drought, the country was affected by Hurricane Matthew and severe flooding. Poverty and inequality, coupled with a lack of diverse diets and a weak agricultural structure, are the root causes of food insecurity and nutritional problems like chronic undernutrition, which affects 7 percent of children under 5, and anemia, which affects one in three women of reproductive age and up to 61 percent of children between 6 and 11 months. 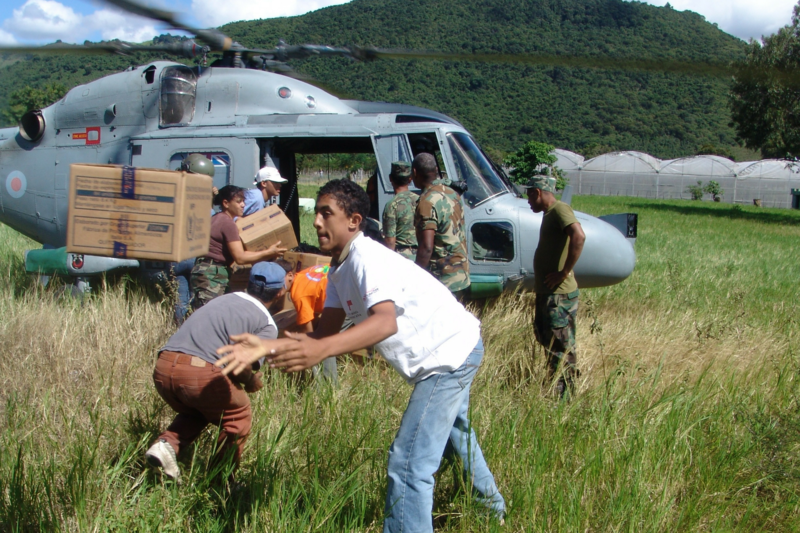 The World Food Programme (WFP) has been present in the Dominican Republic since 1969, focusing on strengthening national programs in nutrition, social protection, emergency preparedness and disaster risk management. WFP works in partnership with the government, contributing to the National Development Strategy, and supports the development of public policies to reduce hunger and malnutrition. Nutrition – WFP supports the government’s social safety net program, Progresando con Solidaridad, to provide specialized nutritious food at 1,300 primary healthcare centers nation-wide. WFP also supports public policies in food security/nutrition and the implementation of a rice-fortification plan. Food security and HIV prevention – With most of the people living with HIV reporting their families are food insecure, WFP promotes urban gardening and peer nutritional counseling. WFP also provides HIV training to medical personnel in 77 integrated healthcare centers. Emergency preparedness and disaster risk management – WFP strengthens national and sub-national capacities to reduce risk and provide humanitarian assistance to people affected by natural disasters, with an emphasis on food security. Interventions focus on improving climate risk analysis, strengthening national Early Warning Systems, and government preparedness plans.